Bishop John Parkes inducted Rev’d. 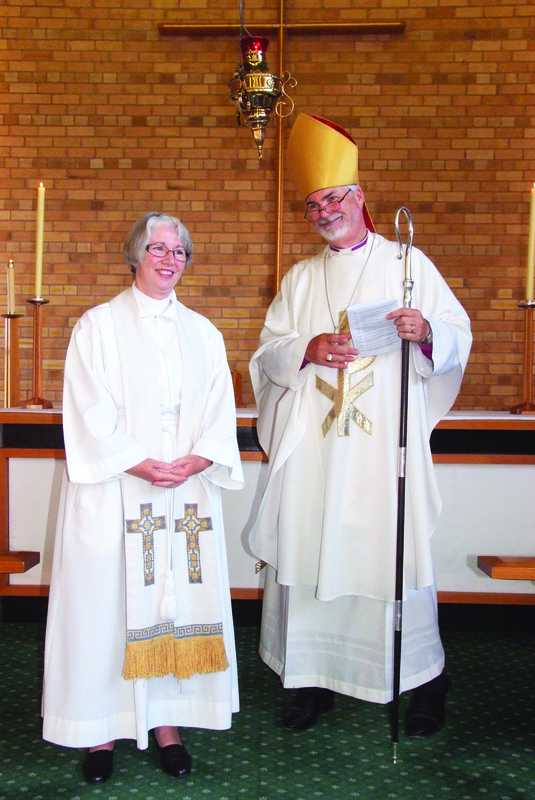 Sally Boothey as Rector of the Numurkah-Nathalia Parish on Thursday 24th January at St George’s Numurkah. In a moving service Bishop John commissioned Rev’d. 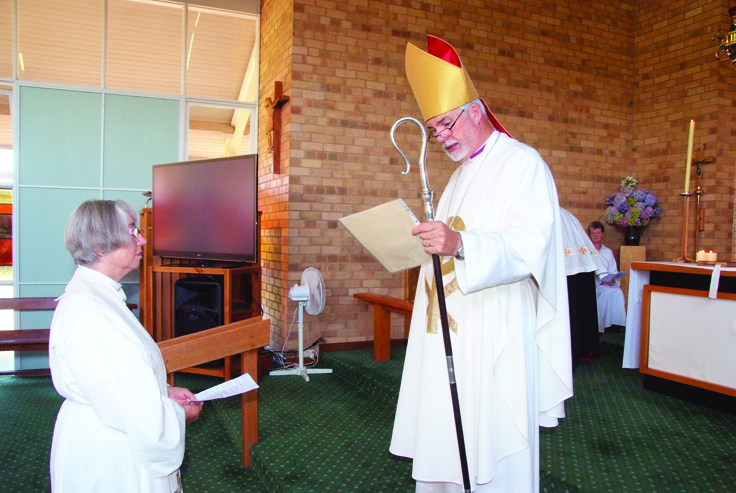 Sally Boothey as Rector of the Parish of Numurkah-Nathalia witnessed by parishioners from Sally’s former Parish of Plympton in Adelaide, and new Parish of Numurkah-Nathalia and supported by clergy from the Diocese. The Registrar Mr Tim Williams read the license, which Bishop John then presented to Rev’d. Sally. Churchwardens and Parish Councilors participated in the Induction which was followed by an Eucharist presided over by Bishop John, assisted by Rev’d. Sally. Archdeacon Alan Jarrad assisted Bishop John in welcoming all, and introducing the speeches of welcome from Cr. Brian Keenan, Mayor of Moira Shire, Mr Tim McCurdy local member for Murray Valley, Rev’d. Jean Mayers, Uniting Church on behalf of other local denominations, Lou Hamon Parish Secretary and Pauline Glover, Churchwarden from Parish of Plympton, Adelaide, Sally’s former Parish.